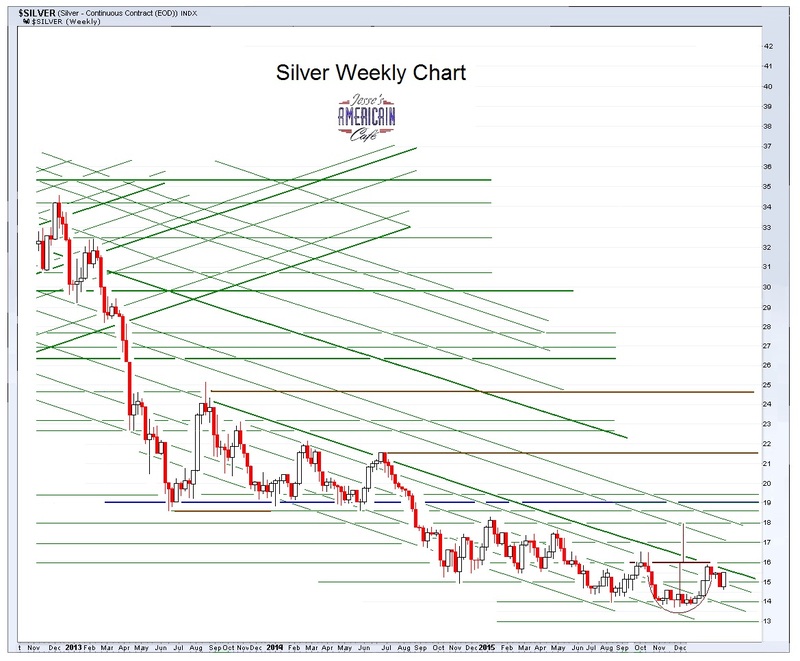 Gold and silver were higher most of Friday last…with gold selling off a little after the markets closed in Europe and Asia. The wise-guys just could not resist taking it back down into the close. LOL. The handle on the potential Cup & Handle Formation is not firmly set yet as gold failed to close over 1270, coupled with the initial weak retest of lower support in the early handle stages. 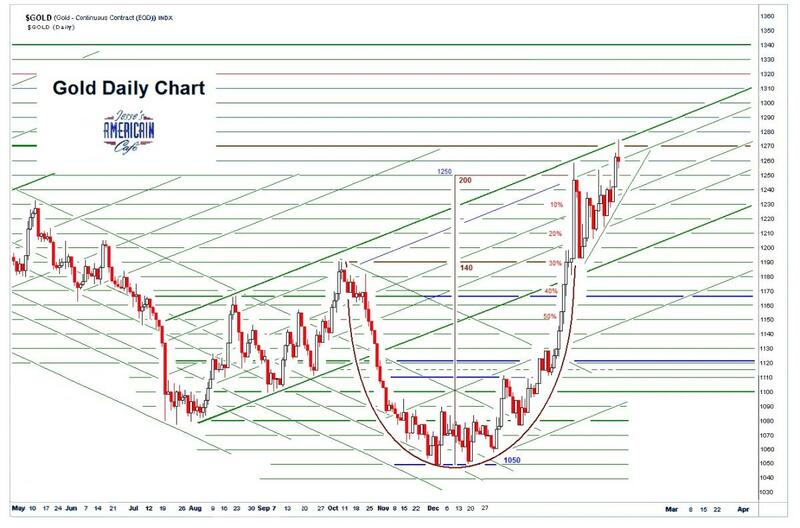 Normally we would like to see a little arc…and an interplay of buying and selling. This time it went straight down -- and then rallied steadily higher. It risks turning into more of an Ascending Wedge pattern. The bright side was that silver refused to give up most of the day’s gains. Speaking of 'they just could not resist,' here comes the Housing Bubble Part Deux and the return of 'interest only' mortgages. So much for Dodd-Frank, financial reform, and the integrity of the financial regulators. Remember to care for the poor, the unfortunate, and all the creatures of His creation, as you would like someone to care for you and yours, whether they be 'deserving' or not, for His sake. This is the whole of the commandments and the law, the vitality of hope and faith, and above all love, which is the key to true life. All the ceremony, the elaborate ritual and trappings, the worldly learning, the impressive rhetoric, the great shows and splendor, the zealous judgement and anger at the differences of others, will not sustain us for an instance, as they all will pass away in His kingdom, and are already as just the appearances but not the substance of faith. Only love abides, and bring vitality to the seeds of faith. And to offend against love is to offend against the Spirit. As we understand this, we aspire to wisdom, and the fundamental principles of His economy.